Genesis is arguably the most popular theme framework for WordPress. 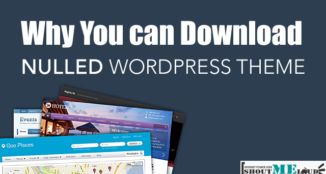 While this immensely popular theme framework is used by leading sites like WP Sutra, Problogger, it is also endorsed by influential people like Matt Mullenweg and Mark Jaquith. If you are a loyal Shouter, you know that the ShoutMeLoud website has recently been switched to Genesis theme. With all these talk about Genesis, I thought it is the perfect time to introduce you to the top 10 child themes for Genesis. Before you start going through the list, here’s a small reminder. Other than the Agency Pro child theme, none of these themes is provided with the Genesis framework. To use any of these themes, you need to purchase the Genesis framework separately. However, if you have purchased Genesis already, you are good to go. Let’s see what are the top 10 child themes for Genesis. Djazz is an elegantly designed Genesis child theme from Zigzagpress. By using a simple layout and large images, the child theme is perfect for creating for personal or company blog sites. While the sidebar is not visible at the first glance, you can easily open the sidebar by clicking the big ‘+’ button. The widgets of the sidebar could be customized from the theme customizer. Besides the regular options, the theme customizer also lets you choose a custom background color or background image, change the font family, font size and provide custom CSS. The SEO optimized theme could be used in unlimited sites. And the theme works perfectly in most modern browsers. You can get the theme for $49. 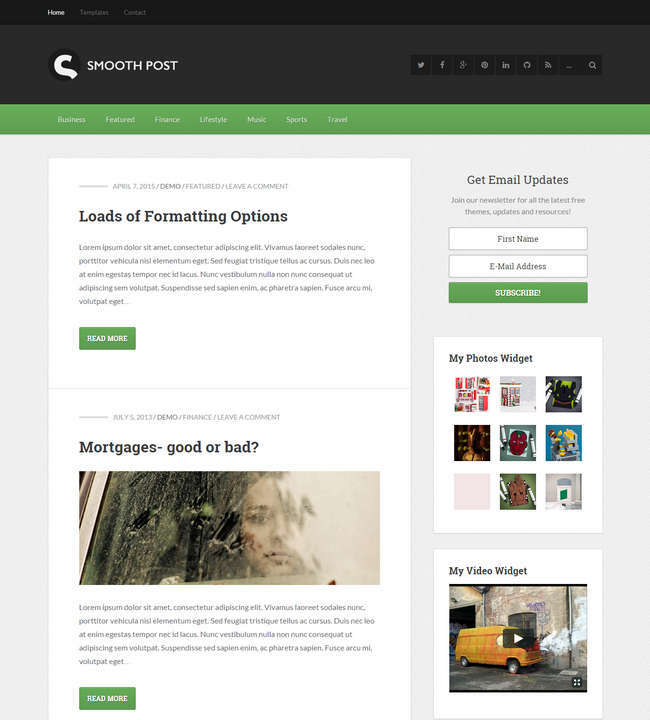 Smooth Post 2 is a completely redesigned Genesis child theme for creating attractive magazine or blog sites. The elegant, spacious design of the theme could be very helpful in providing a pleasant reading experience for your visitors. As the theme comes with a secondary navigation menu, you can easily provide better navigation system for the visitors. You can use any post, page, category or custom link in the navigation menu. The social bar will allow the visitors to follow you in various social media platforms. As an added bonus, you can place widgets in both the sidebar and the footer. Various aspects of your site could be controlled from the options panel. The theme package also includes a beautifully designed landing page. You can get the theme by purchasing Themedy’s membership plan, which is priced at $67 per year. Being a member, you will get access to all the new and existing child themes of Themedy and unlimited support. Featuring an excellent layout for the maximum lead generation, Splash is a great Genesis child theme from Themedy. 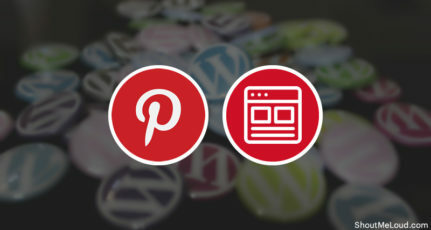 By using the theme, you can display the subscription from and links to various social media platforms in the header of your website. You can easily customize various design aspects like the font family, font size, color, etc. from the beginner-friendly theme options section. The attractive layout of the theme looks great in both mobile and tablet devices. Splash lets you customize your blog posts for maximum engagement with your visitors. Besides the floating shares and comments bar, you can also place the subscription banner after the post content too. To get this child theme, you need to purchase a membership plan from Themedy. Priced at $67 per year, the plan includes access to all new and existing themes and unlimited support. 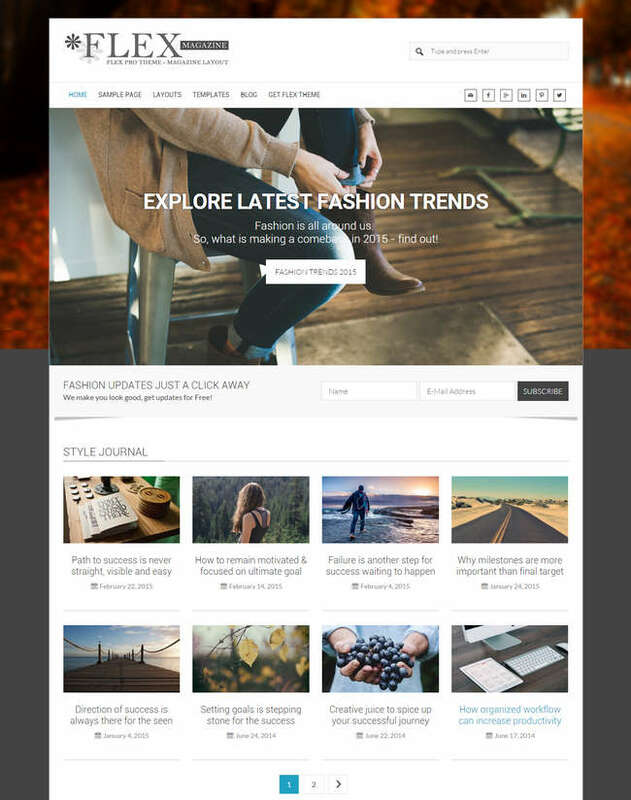 Flex pro is a truly flexible Genesis child theme for creating personal, blog, magazine, agency, company or corporate websites. The built-in custom widgets let you create any layout for your website with a few clicks only. Being powered by Flex Slider, the built-in slider of Flex Pro allows you to create attractive slideshows for your home page or other places. You can use the banner image widget to display custom text on top of existing background images. The theme is provided with several layouts for the blog page. You can easily choose from the two-column, three-column or the default layout. The localization ready theme is priced at $79. As the name suggests, this Genesis child theme offers fun and easy ways to customize your website by configuring the personalization options. The fully WooCommerce supported theme lets you create gorgeous online shops within a few minutes. Along with the online shop, Fun is also provided with lots of relevant options for using it as a blogging theme. 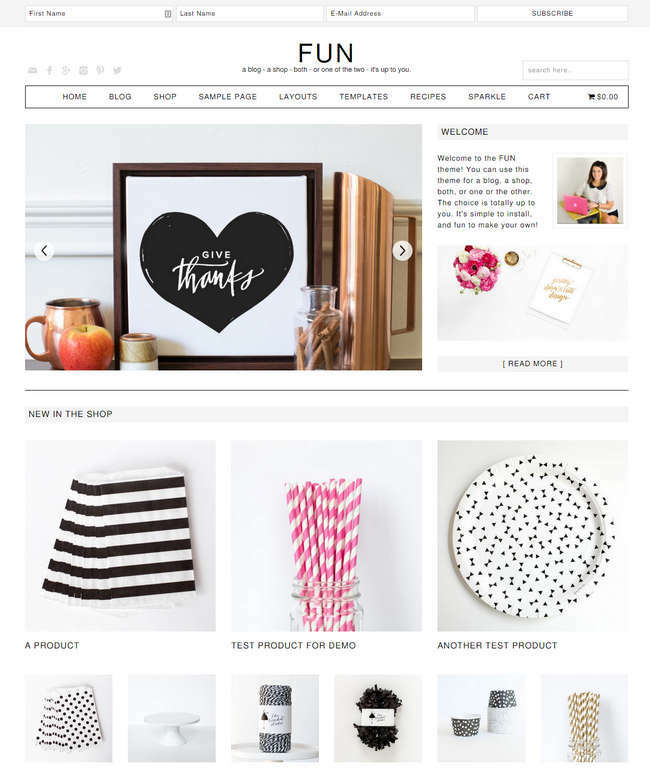 What’s more, you can conveniently use the theme to power both your online store and the blog at the same time. Fun is provided with six different page layouts. If you want, you can add custom widgets before or after the post content. You will also find the pre-styled popular posts section very useful. This child theme has a price tag of $59.99 only. The list will not be complete if we don’t include at least one child theme developed by StudioPress, the creator of Genesis framework itself. 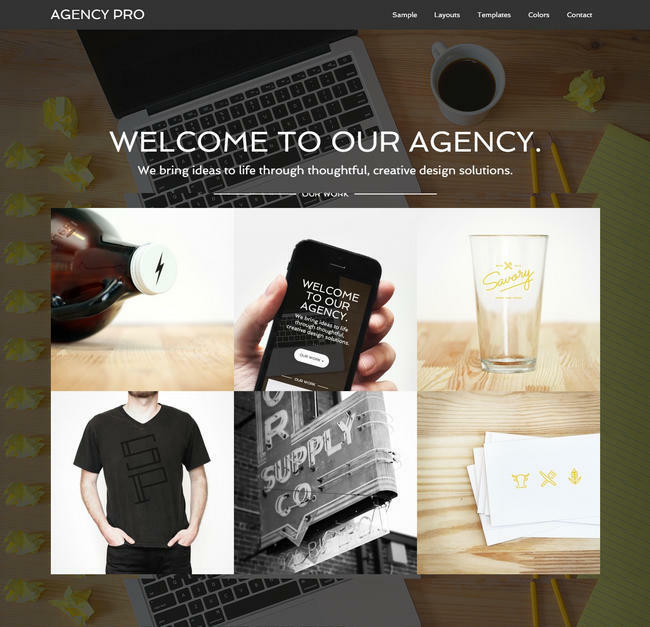 Therefore, meet present Agency Pro, a professionally designed Genesis child theme. The smart, modern look of the Agency Pro theme has made it a perfect choice for creating any business or corporate website. If you don’t like the default design, you can easily choose from the six readymade layouts or five color styles. Additionally, you can also choose a custom background image. Last but not the least, you can control all the design related options from the themes options panel. 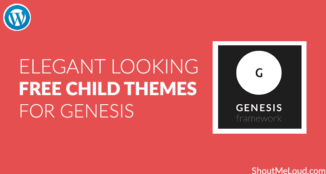 For $99.95, you can purchase the child theme and the Genesis framework. If you are looking for a combination of elegance, security, and performance for your website, these are best Child themes for Genesis which you can use right now. Which one of these or any other Genesis Child theme do you like the most? Let me know by leaving a comment below. And if you are using any of these child themes, don’t forget to share your experience with us. Foysal, I like all 10 Genesis themes. Any beautiful theme can attract the users which can ultimately help to increase the internet traffic and increase the eCommerce sales for online store. Thanks for sharing the attractive themes. I am thinking to choose the most beautiful theme for an eCommerce website. Hi HareKrishna, I am glad that you liked the themes. Regarding the the e-commerce themes, you can safely choose any of the Sarah Ellen, Beautique, Fun. And if you need more, here’s a list of 25 Genesis e-commerce themes. Themes look good but you make little comment on each regarding mobile readiness. Hi Tony, I am sorry that I missed the mobile readiness aspect of the themes. Actually, most if not all the modern WordPress themes are responsive by default. That is why I skipped that part and tried to focus on other features. However, let me inform you that all the themes of this list are fully mobile ready. They look great in any screen size and resolution. If you want to test it yourself, you can do so by by going to this site. 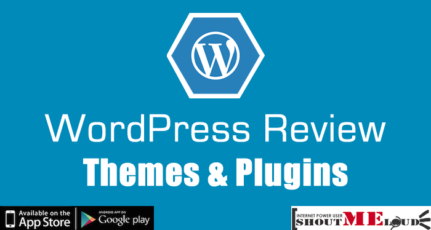 At present I am using free WordPress theme, I am planning to migrate to Genesis Framework, all these 10 Genesis theme informative to me to refer once again when I purchase Genesis Framework, I think these are third party child themes, do we have any problem if we use third party child themes with Genesis? Anyway thank you very much for sharing a long list of child with their features, have a great week. Excellent question, Siddaiah. Except Agency Pro, all the other themes of this list are developed by third-party developers. And while Genesis has an excellent reputation in providing quality customer support, that is not the fact with the third-party developers. Having said that, all the child themes listed in this post are released by top quality developers. While it is not possible to guarantee their customer support, I am sure most of them will have a great customer service. Before taking the final decision, please do some research on your selected theme(s). Besides Google, you should also check out their Facebook and Twitter profiles. Your target is to find out their attitude towards the customers. I am sure you will be able to find out the information after some research. Let me know if I could be of any assistance. No doubt, Jinka. 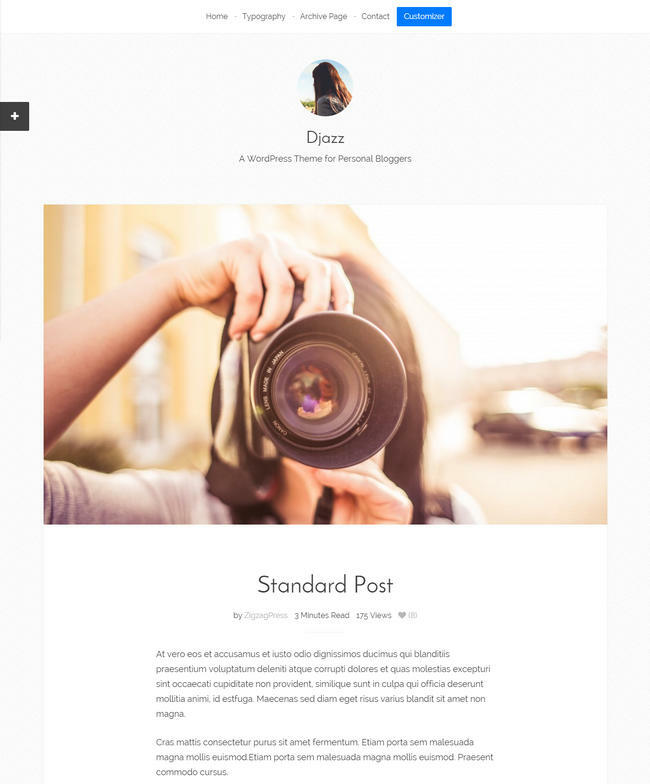 Metro Pro is a cool, elegant theme, perfect for creating simple blog or magazine sites. As always, thank for the advise. I´m ready to get the Genesis framework that today nobody can beat. 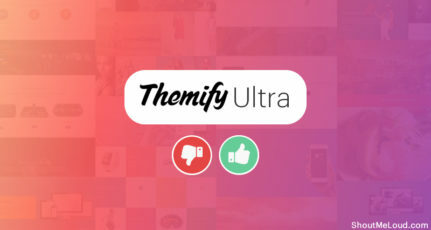 For 59,95 you can use it on several websites and get lifetime support and updates. Who offers something like that? Only the Paradise…but they offer support AFTER life and I´m concerned about today right now. I´m planning to use their free themes, can you write about them? What stopped me until now is that I´m afraid of switching from my free theme (Twenty ten) to other from Genesis and find out a mess in my blogs and have to work like a mule 7o restore evrything. About the free child themes: it is possible to select from a variety of fonts without having to install Google Fonts? 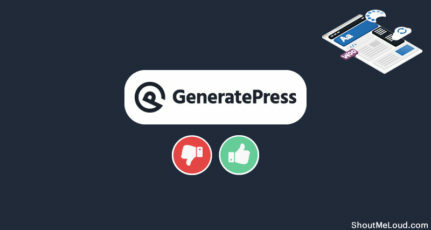 Hi Ricardo, moving to Genesis is one of the best things you can do for your website, especially considering the fact that you are still using Twenty Ten! And I think you have noticed the free Genesis child theme post already. Regarding the fonts, I am sorry to inform you that most of the free Genesis child themes do not allow you to choose custom fonts. Having said that, Jemma looks nice with its multiple font combination. Most of WPCanada’s free Genesis child themes are provided with Google Fonts support, you can check them too. And lastly, here’s a simple and easy StudioPress tutorial for adding Google Fonts in any Genesis-powered website. The tutorial shows you how to add Google Fonts in three easy steps. I request you to take a look at the tutorial, adding Google Fonts might be easier than what you are thinking. Thank you for sharing such a good list of Genesis child themes. I’m currently using copy blogger and news pro child theme of Genesis. both are working fine. News Pro is one of the greatest child themes developed by StudioPress. I especially like the mobile version of the theme. Nice collection of child themes. I am also finding one good theme for my blog and I found it from here. I like Splash theme for my blog. Splash is an excellent choice Krunal, especially for increasing your email subscribers. Thanks to sharing such type of important and useful information. Genesis is arguably the most popular theme framework for WordPress. While this immensely popular theme framework is used by leading sites. A beautiful theme can attract the users which can ultimately help to increase the internet traffic and increase the eCommerce sales for online store. Thanks for sharing the attractive themes. You are absolutely right, Harvilas. An attractive design and a proper UX can boost up sales in e-commerce tremendously. Fun theme looks awesome – going to check it out. Thanks for the recommendation!! Hi Ahamad, you solved my problem today, because selecting a suitable genesis child theme is a very tough task. Literally it kills hours because there are lot’s of options there, but your short list helped me. Thanks again! Few of them might let you buy using PayPal. if not, use their contact page & ask the developer to accept payment via PayPal.That should help.